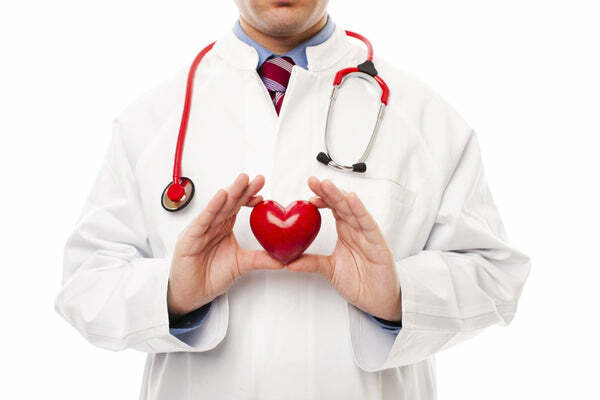 The term "Heart Disease" can refer to a variety of heart conditions. In general, it pertains to the narrowing or damage of the heart's arteries. This narrowing can be due to physical narrowing or blockage by plaques or other substances causing a buildup in the arteries. This kind of damage to the arteries can result in blood not being able to be pumped through the heart or complete malfunction of the heart muscle. An arrhythmia refers to an irregular heartbeat (either too fast, too slow, or an inconsistent beat). They are not typically harmful but in some cases can be severe or life-threatening in which treatment or medication may be necessary. When an artery in the heart is blocked, the heart's blood flow is blocked resulting in lack of oxygen to the heart. A heart attack occurs when the heart muscles is damaged or dies as a result of this blockage. Not to be confused with a heart attack, cardiac arrest is a very serious condition in which the heart loses its function. Cardiac arrest is a possible result of a heart attack, not the equivalent or cause of a heart attack. Immediate CPR or defibrillation (shock used to restore a regular heartbeat) can decrease the chances of death. A congenital heart defect is a structural complication with the heart as a result of a birth defect. It occurs during the structural growth stages of a baby's heart and can affect any part of the heart muscle. Peripheral artery disease involves the narrowing of arteries that function to carry oxygenated blood to your limbs such as your legs, arms, or head. When an artery is blocked by a buildup of plaque (consisting of substances such a fat or cholesterol) this blockage decreases the width of the arteries and makes it harder for the healthy blood to flow and oxygenate these other limbs of your body. Be aware of the signs of Heart Disease!